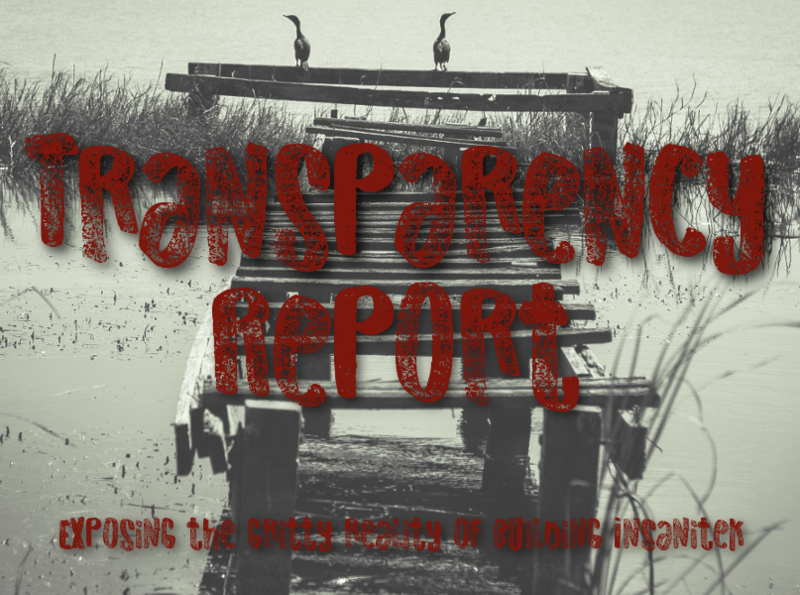 We heard you when you told us how useful the transparency reports were to you. But, we told you that doing them every month was a bit repetitive at this stage of business life, so putting things in a quarterly form be easier for us to make and still have a lot of information. So, with that, here is 2019 Q1 starting with the summary. The first thing you’ll notice is that we spend a lot of money in February. There was something special that was happening in March, and we bought our very first ever marketing box of freebies. And we just couldn’t bear to be another pen that is ignored. The table pre-swarm at the Andre Carson Youth Opportunity Fair, 11. March.2019. While the tri-fold brochures and business cards were purchased a couple of years ago, we bought the paper to design and print out the cards and flyers in house. But those little notebooks with pens? That was the bulk of our money sink at $365 for 250 of these little books. Thankfully, we still have half a box left, so next event will either be cheaper or we’ll have to purchase more business cards. <sigh> Advertising can be expensive. VERY expensive. It’s more than monetary, though. It’s also a toll on our humans, in this case, it’s was Grace that took the hit. She was out for a full day, then taken down a few notches while she got over a cold that she picked up at the event. As you know, Grace is the primary money gatherer here at Insanitek. While the rest of us do our best to put together graphics, write posts, and make the printables, Grace is the one that goes out and teaches people. She’s the one that brings in the actual money. When she goes down, so does the income. Common sense would say limit your spending that month, right? We thought so too, but it turns out that when you start getting out more, you start spending more. Often it’s nickel and dime style. All those follow up coffee meetings add up. 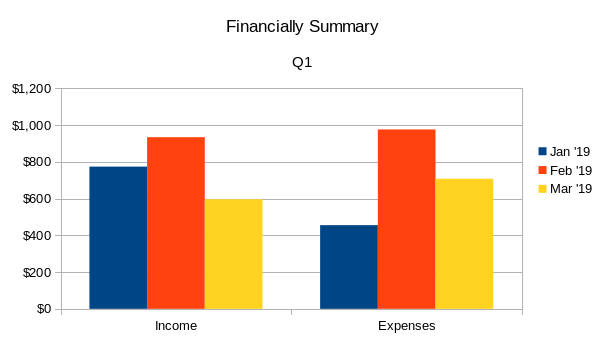 We didn’t have to update any of our software or technology, so all the expenses were in the normal things. We did have one writer that got herself into a normal writing habit, which was excellent to see her posts. Other than that, utilities always take a large chunk of expenses. Travel is the amount for petrol that Grace needs to take her from one appointment to the next constantly. While it does take some time for that, Grace notes it’s cheaper than rent on a building for now. This quarter Grace has done two networking events: A SmartUps, André Carson’s Youth Opportunity Fair, and made contacts with the Lawrence Homeschool Explorers. The first meeting with the Homeschool Explorers is in April, though, so we’re not counting it as part of this quarter. At the SmartUps, Grace made connections with adults and business owners in other industries. None in our direct market, but hopefully people that we can help regardless. We like this as a business training session better than any online consultant. Not only do you get to meet with others in your local area, but you can also develop potential partnerships in a very real, impactful way. Plus, the training is incredible. Its somehow way better than any online consultant we’ve ever worked with. One chat, and she left with connections and actionables that we tried, immediately resulting in growth. And it was far more affordable than any talking head online. At the Youth Opportunities Fair, Grace made contacts with many people that were interested in becoming scientists, loved science, were retired scientists, and others in the science industry. We are currently trying to work out a way to collaborate with them all. Grace also brought us contact with Tangram, which works with people with disabilities. Through them, we met Sydney, our newest graphic designer that you’ll be seeing the work of soon. Grace wants to go to another SmartUps next quarter, if they have a topic that is applicable. On top of that, Grace would also like to get Insanitek on more homeschooler’s and teacher’s radar so they can use our things. After all, what’s the point of making all these if we can’t be of service to others? We are collectively looking for another networking event that Grace might be able to hit up in Indianapolis, or we might be able to hit up in our respective cities. 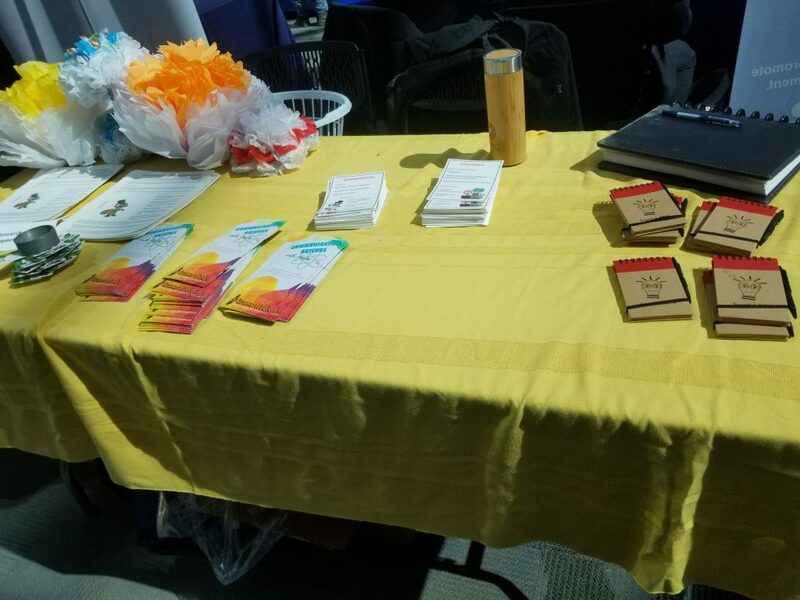 Grace would also like to take the time to develop deeper relationships with those that we made connections with at the job fair. Especially those in the science field to see how we can collaborate and help each other. For that, she’s thinking about making an appointment to see how their place runs and works, and how we can help. Grace would also like to speak with young ladies about “rebelling softly.” The reason is she heard so many older ladies that said they wish they hadn’t give up on their dreams of being in science. When Grace asked why, they would often say they “gave into societal impressions.” Grace wants to point out that while you can have and enjoy a tea time party with friends and frilly dresses, what you do with your time is ultimately up to you. And saying “no” when you mean it, shouldn’t be something you feel guilty about. After all, when her aunts would ask her, “Wouldn’t you rather visit with us over tea?” Grace didn’t mince words when she said, “No. I’d much rather be at martial arts practice or outside.” It was true. All this is well and good, but one of the problems we run into is getting people to connect. For example, at this Homeschooling Explorers, Grace will put on a little lab and workshop. She’ll explain the science of things, and make people feel at ease. She will even offer for them to stay in touch, as well as get free things from our resource library. But, that is it. No coercion, no false sense of urgency, no pushing them into spending money. If they want to stay in touch, they will give over their email or phone number, and Grace will contact them regularly just to check in. We are getting used to this connection, thing. It’s the primary part of networking and staying in the game. And it’s time consuming.